Romanticism was an intellectual movement that swept across the globe in the 19th century. 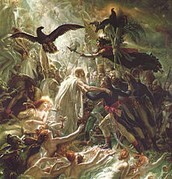 This movement stressed the emphasis on music, literature, visual arts, heroism, feelings, and nature. Artwork, literature, and music expressed deep emotion. Romanticism is really undefinable, but it caught on to artists, poets, and songwriters at the time. 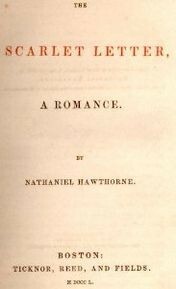 One of the notable dark romanticist authors at the time, was Nathaniel Hawthorne. 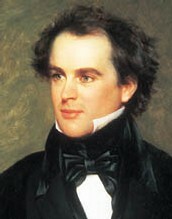 Nathaniel Hawthorne was born on July 4, 1804, in Salem, Massachusetts, to a family with a Puritan history. At age four, his father died of yellow fever at Sea. An off-topic but interesting fact about him is that he was related to John Hathorne; a judge in the Salem Witch Trials, so Nathaniel added a "w" to his last name to distinguish himself from his family. Nathaniel received an education from Bowdoin college. While living with his mother for 12 years, he published Twice-Told Tales in 1837, for a source of income. In 1842 he married Sophia Peabody, and moved to Concord, Massachusetts. The following year, his mother died, and after that, he devoted himself to writing. The Scarlet Letter was an immediate success, classifying Hawthorne into a dark romanticist. 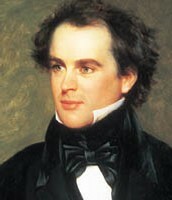 On May 19th, 1864, Hawthorne passed away after suffering from a series of illnesses. He was buried in Sleepy Hollow cemetery, in Concord, Massachusetts. The Scarlet Letter, by Nathaniel Hawthorne, was published in 1850, during the time of the Romanticism movement. 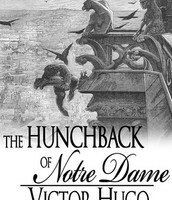 Two of the main themes of the novel are human sin, and guilt, which were were thought to be moral messages that he wanted to throw out there. The Scarlet Letter is one of the most famous works of Romanticism literature to this day, with the main Character, Hester Prynne marked as an "adulterer," by a patch of cloth in the shape of an "A." 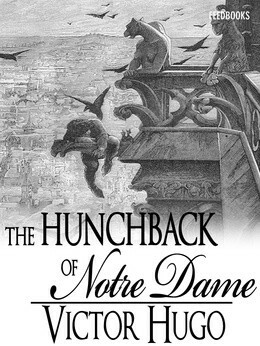 The Scarlet Letter was considered to be Hawthorne's magnus opus. 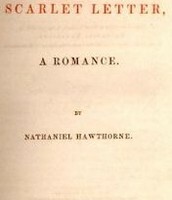 Nathaniel was a prominent figure in the Romanticism period. Hawthorne wrote The Scarlet Letter, and was considered to be his Magnum opus, or "great work"